We offer these guidelines to to make your experience at Miller Oudoor Theatre more enjoyable. Shows will not be canceled due to showers or thunderstorms. Only in instances of dangerous, inclement weather (such as a hurricane, tropical storm or tornado warnings) will a performance be cancelled. Listening devices are available for the hearing-impaired at the Miller Theatre Security Desk one hour prior to curtain time. A valid Texas Driver License or state issued ID card is required for deposit. Performances captioned for the hearing-impaired are noted in calendar listings. Smoking is prohibited in Hermann Park and at Miller Outdoor Theatre, including the hill, seated area, and plazas.  No audio or visual reproduction of any portion of a presentation at Miller Outdoor Theatre is permitted without the express written consent of the City of Houston. Outside food and beverages (including alcohol) are permitted, but glass containers are prohibited in City of Houston parks, including Miller Theatre. Lawn chairs are permitted on the Miller Theatre Hill. However, they should be placed only on the left side (facing the stage) so that patrons on blankets can also see.